The Still Born book is an artists’ book project by Adinda van ’t Klooster that aims to break down the taboos around stillbirth. 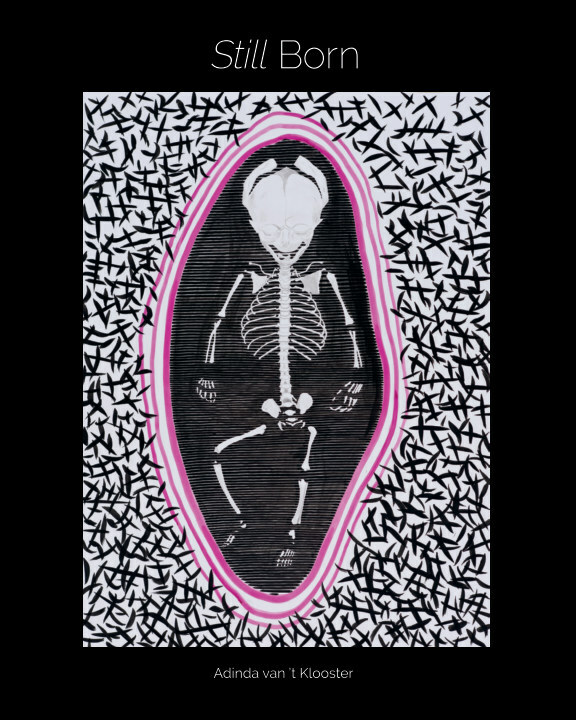 The artist had a stillbirth in 2010 and spent the following seven years making a series of drawings, prints and sculptures on the theme of stillbirth. In 2017 she invited eight poets to respond to a selection of her artworks. Participating poets are Roger Bloor, Christine Bousfield, Jennie Farley, Rebecca Goss, Sarah James, Karen McCarthy Woolf, Claire Potter and Wendy Pratt. The artworks and poems are brought together in the Still Born book which further includes an essay by Prof Alexander Heazell on ending preventable stillbirths by 2030 and an introductory text by Adinda van ’t Klooster.